Counter clutter can be even worse in a bathroom which is typically a lot smaller than a kitchen. 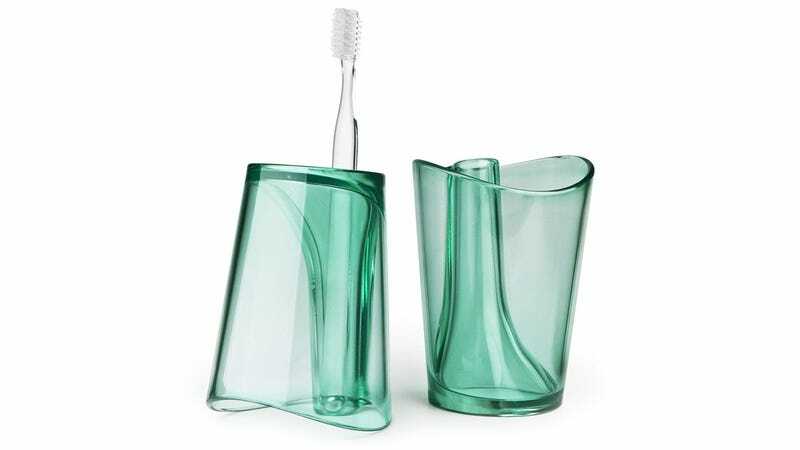 And if you find yourself constantly battling to find room to store things around the sink, you'll immediately see the genius behind this flippable cup that doubles as a way to rinse your mouth and a convenient spot to store a toothbrush. Available in a small selection of decor-friendly colors, the $11 Flip Cup also features a contoured rim that allows air to get in when flipped upside-down so it dries quickly preventing germs and bacteria from finding a home. So say goodbye to halitosis and goodbye to awkwardly trying to rinse your mouth directly from the faucet.